Looking for our newest ebook? 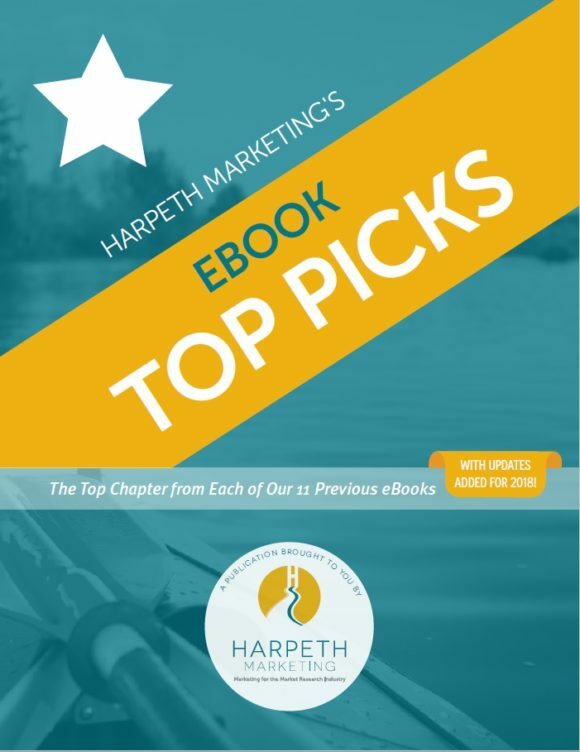 Get eBook Top Picks now! 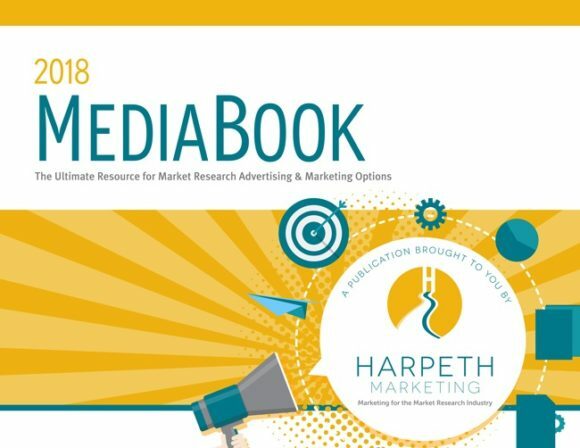 The 2018 MediaBook – our 2nd annual version – is a comprehensive, easy-to-use reference guide to all of the advertising, promotional and marketing opportunities available in the Market Research industry. If your company is planning on doing any kind of marketing in the MR industry, the MediaBook is a great place to start. In today’s hyper-competitive environment, many firms are having to hire, train and manage – often for the first time – a dedicated sales rep (or sales team). And that’s simply a process not many business owners and senior executives are comfortable with or have much experience with. 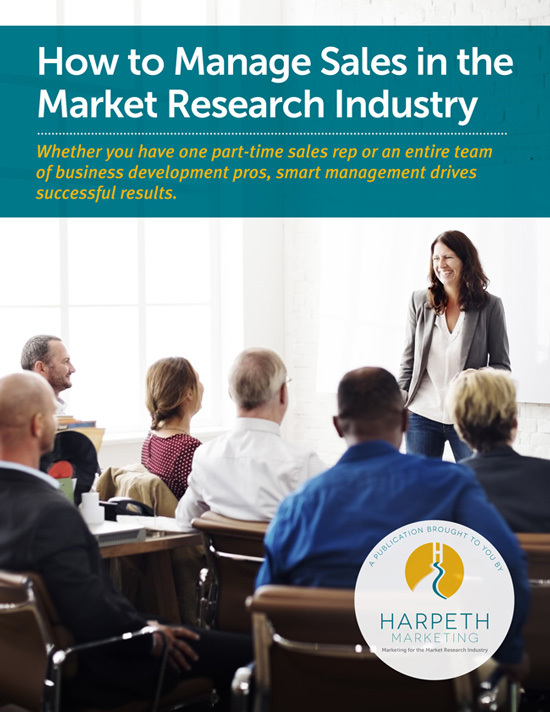 How to Manage Sales in the Market Research Industry can help fill in some of those gaps. You can’t build a successful business on first-time clients. You need to create and maintain a stable of repeat clients. It starts by doing good work, but it’s more than that. Your clients come back to you – and refer you to other potential clients, serve as references, etc. – because they develop a deep and trusting relationship with you. 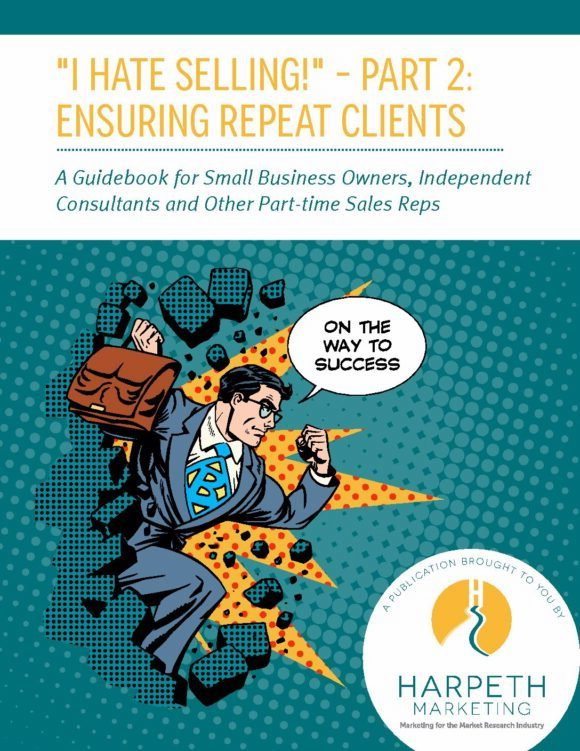 And that’s the purpose of this eBook… to help part-time sales reps focus on the kinds of things they can do to ensure their clients keep coming back again and again. 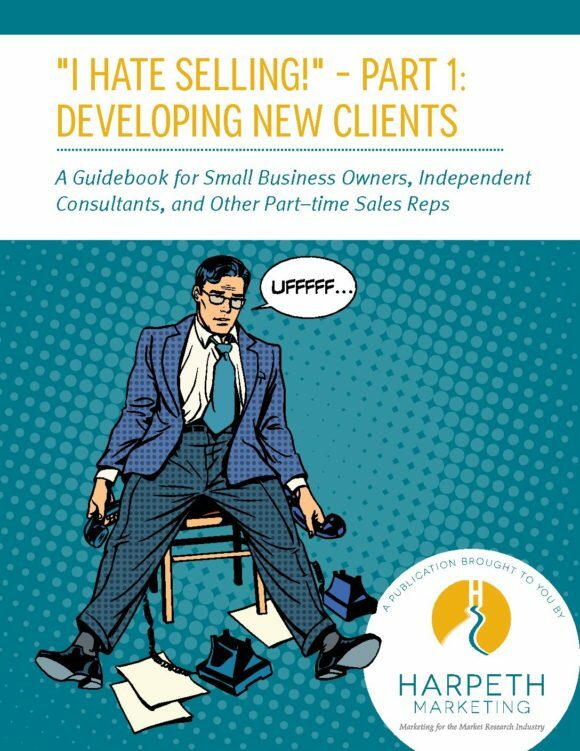 “I hate selling!” is one of those phrases often heard across our industry from independent consultants, small business owners, seller-doers, senior executives at larger firms and lots of others who serve as part-time sales people. While they understand the role of sales in an organization and its importance to their firm, the reason so many “hate sales” is that they have no real idea how to be good at it… don’t understand the buying-selling process… or how to talk with sales prospects in a way that really connects with them. 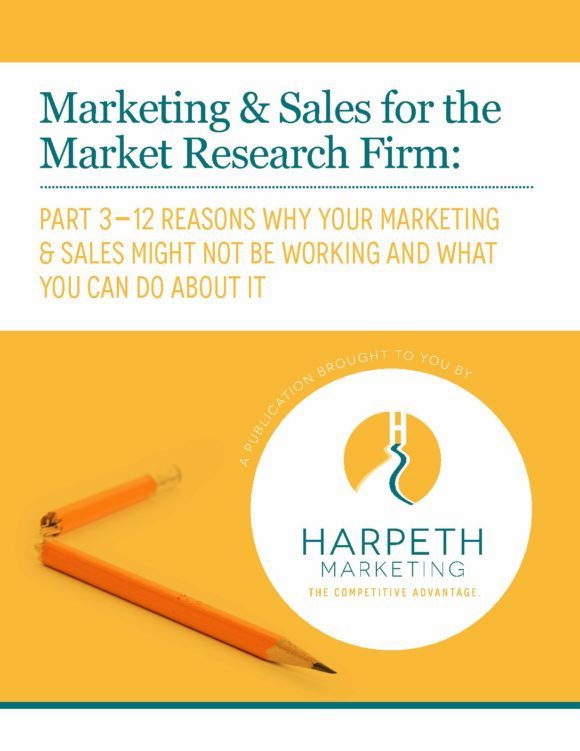 Implementing marketing & sales activities without giving any real thought to what should be done, how it should be done and if it even aligns with the goals and needs of the firm is an all-too-common problem in our industry. Too often, we just do things to be able to say that we’re doing things! This eBook will help you to think about your business in ways you may not have before and, hopefully, help you to determine a clear direction that will drive your marketing & sales forward. 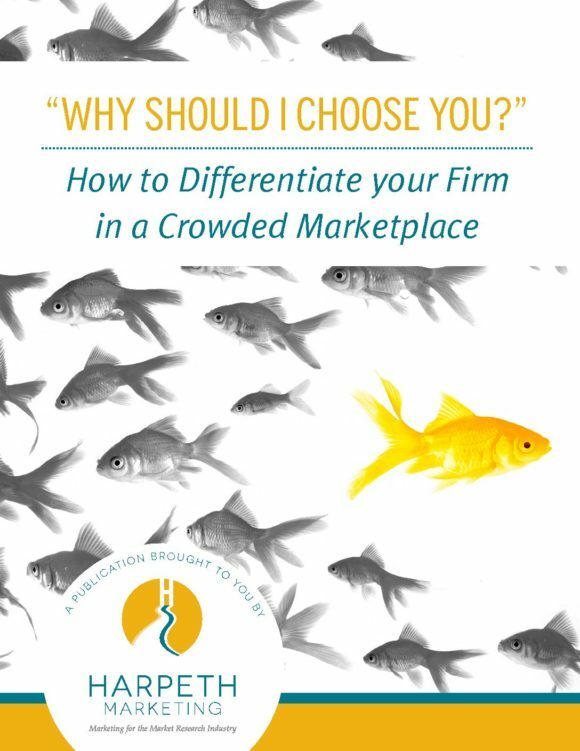 As the leader of a research firm, you have a virtually unlimited number of marketing strategies to choose from, but none more important than “differentiating your firm in the marketplace.” The trick is in finding the PODs – Points of Differentiation – that are right for your business. 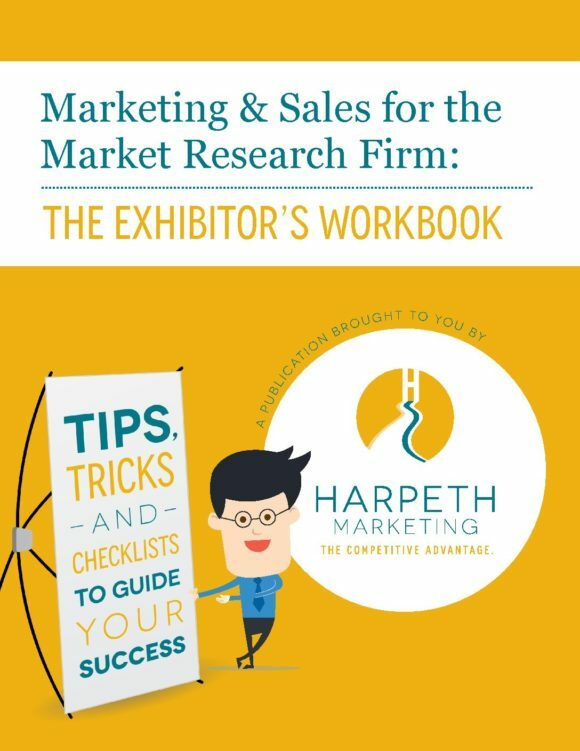 Our 6th eBook helps firms in the MR industry maximize their ROI from exhibiting at conferences by helping them with logistical preparation, pre-show marketing, “working the booth”, capturing sales leads and how to effectively follow-up. 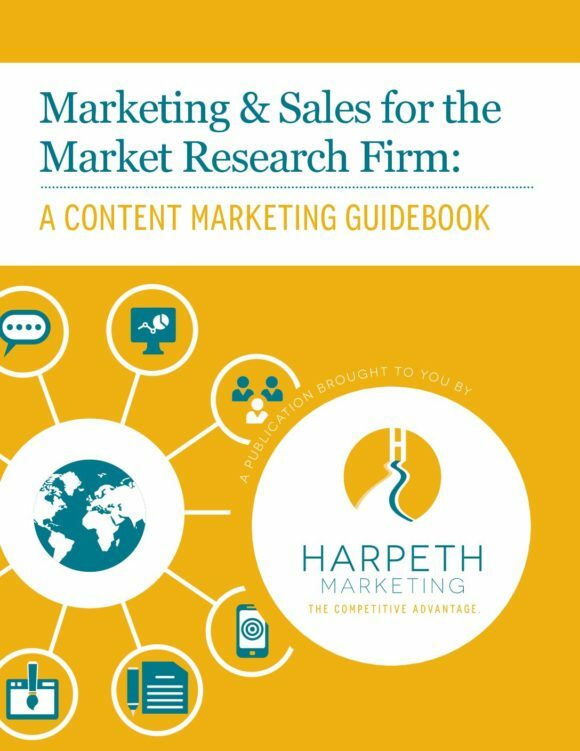 Our 5th eBook helps firms in the MR industry understand what content marketing really is and its benefits to a MR firm. It explores the implementation process and how to integrate it with sales, how to effective promote content and the #1 secret to success. Our 4th e-book focuses on helping readers get the most out of their tactical execution… on making things happen to achieve results. 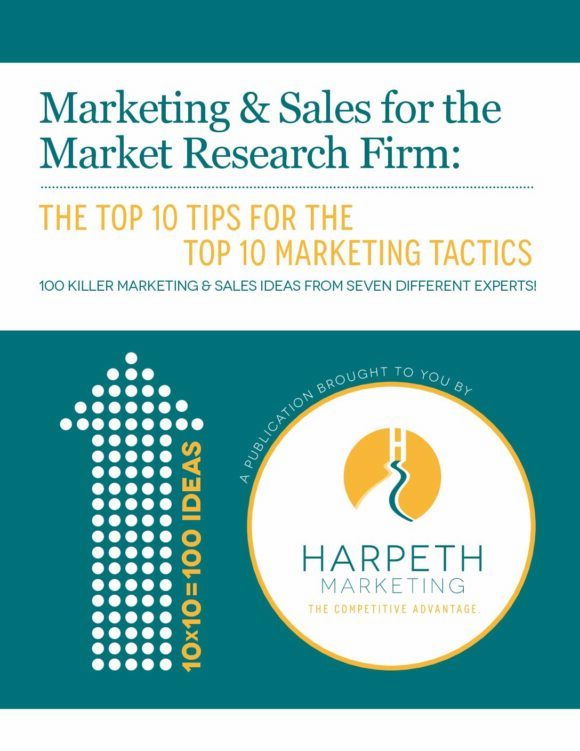 Each chapter delivers 10 specific ideas/tips/how-tos on topics like content marketing, social media marketing, creating great presentations, building a sales team and more. 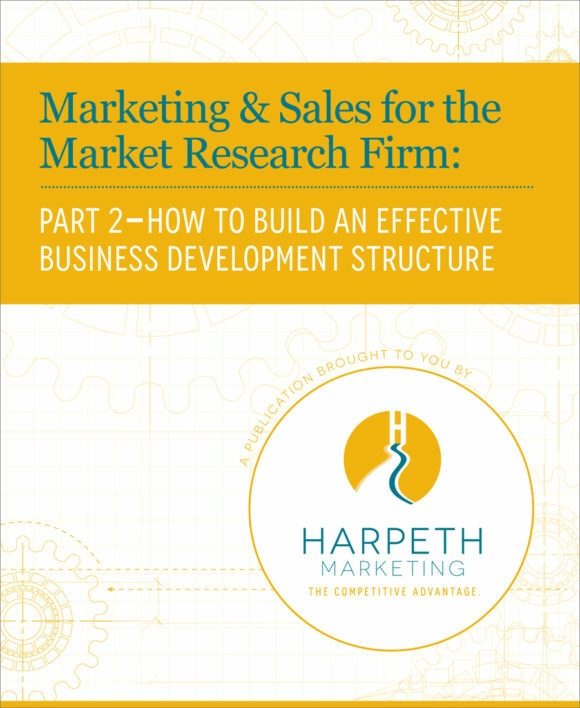 Our third e-book helps to address the results of ineffective marketing & sales… it looks at problems like a declining number of bids, feast-or-famine revenue, missed business opportunities, a lack of sales leads and an inability to articulate your competitive advantage… and shows you how to fix them. 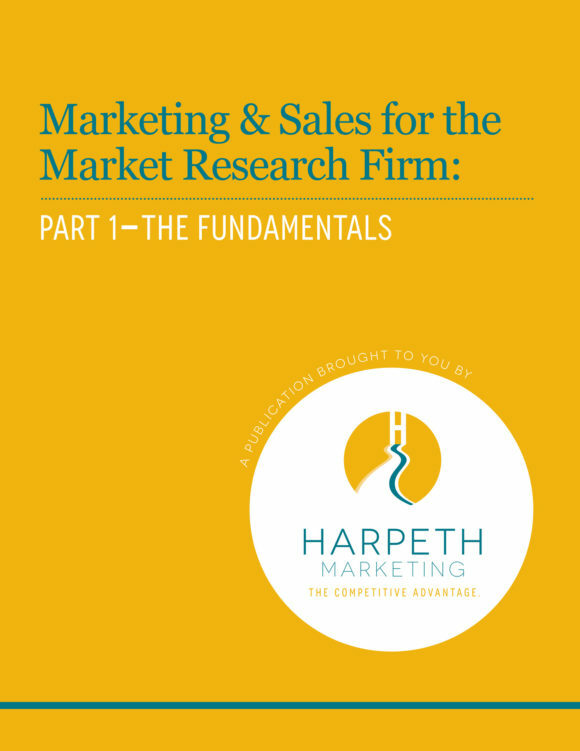 E-book #2 addresses the challenge of understanding the responsibilities of marketing and sales positions, deciding which kinds of positions are needed to help your firm achieve its revenue goals and managing them both effectively. 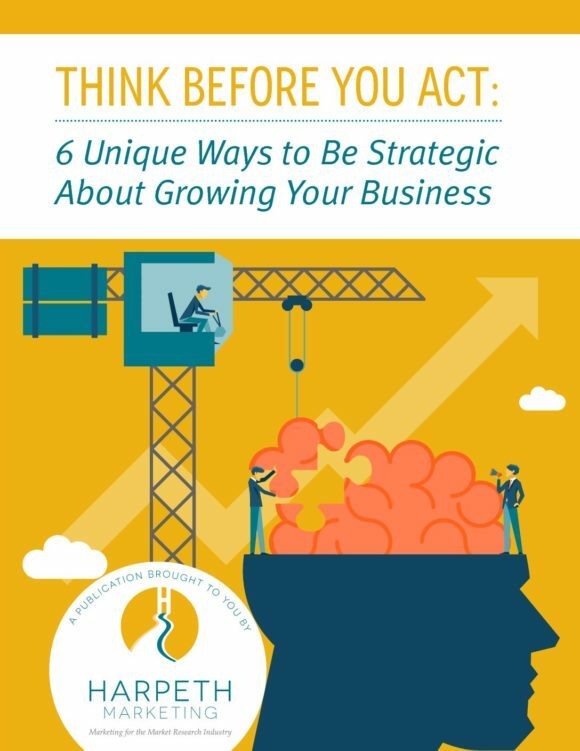 Our first e-book helps to provide a basic understanding of what’s needed to successfully grow revenue in our industry. Its topics include creating a marketing & sales plan, how to set marketing strategy, selling for the non-sales rep and measuring marketing.